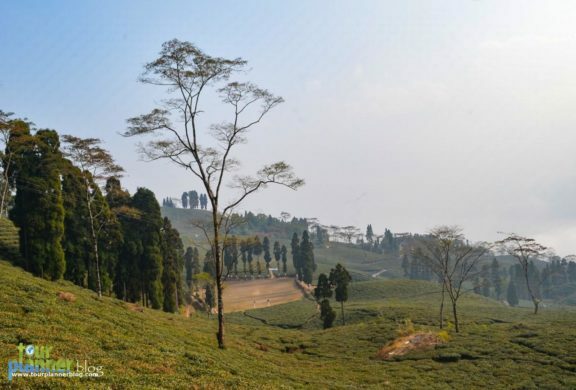 Among the famous Tea estates in Darjeeling district, Runglee Rungliot is one of them. It is actually one of the oldest tea brands of Duncans. Meaning of Runglee Rungliot is ‘this far and no further’. If anyone is visiting Takdah region, they must visit this place. One can visit the estate factories and watch the tea processing but not in winters as it is usually remain closed during winter. There are some locals who lived near the tea estates and work in the tea processing factories. The picturesque view from the tea garden will surely mesmerize one. 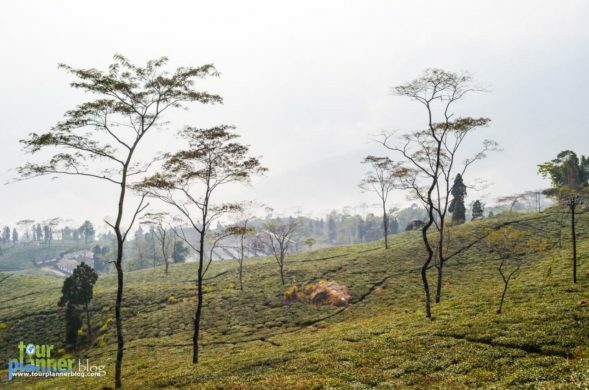 You can explore the place by walking through the tea gardens and by interacting with the locals. The distance of this tea estate from New Jalpaiguri railway station is approximately 80 km and it will take around 3 hours to reach Takdah. From the Teesta Bridge, the main road is bifurcated in two, one is going towards Kalimpong and the another one is going towards Darjeeling. 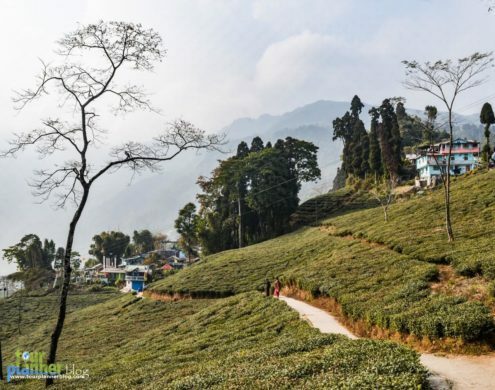 After taking the road towards Darjeeling, first you will cross the Teesta Rangit Confluence view point i.e., Lover’s meet view point and then you will cross Peshok tea garden. After crossing Peshok, you can take the left side road which is going towards Tinchuley. Here the road is not in good condition. However, after crossing Tinchuley and Takdah Orchid Center, you will reach Runglee Rungliot. With this you can also cover Lamhatta, Durpin view point, Bara Mangwa (Famous for Orange Garden), Chota Mangwa etc. So if you are visiting among any of the above mentioned place, please visit this place. I visited this place during our stay in Bara Mangwa. The resort owner had arranged the car for us. From Darjeeling it is only 25 km. 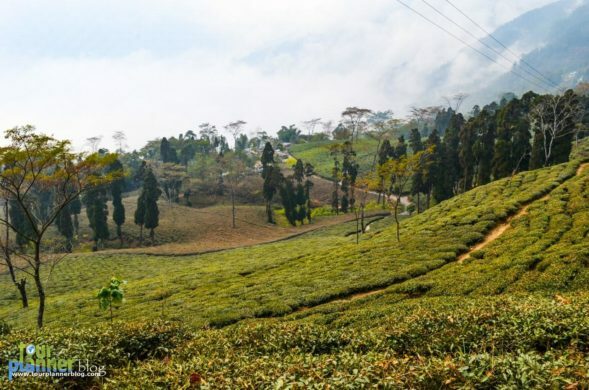 If you are coming from darjeeling, you need to come up to Jorebungalow and take a left to Peshoke road. At a place called 6th Mile take right towards Takdah, while the original road continues towards Teesta Bazaar. In Takdah, you can stay in Saino Guest House, one of the famous in this region. Recently, it is heard that Takdah Club has been converted into forest rest house and tourists are allowed to stay there. 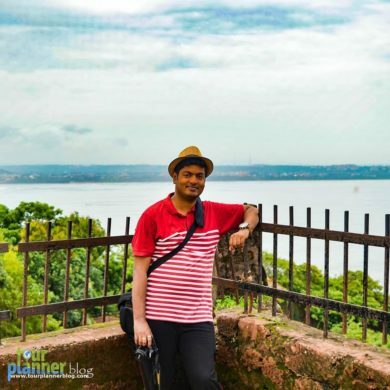 As I have mentioned earlier that, during our stay in Bara Mangwa, we have covered this place during sightseeing. In Bara Mangwa, one can stay in Darjeeling Blossom Eco-Tourism resort. The location of the resort is beautiful. The service provided by the Resort Owner and his family is awesome. You will surely enjoy your stay. Contact of the Resort Owner is 9635925321 (Mr. Benoy Pradhan). Other than this, Bara Mangwa Farm house is one of the famous resort in this place. Some home stays are available here. This content is written by Mr. Sourav Ghosh. Thank you for such a good post with beautiful images.